Viknesh Vijayenthiran May 31, 2013 Comment Now! 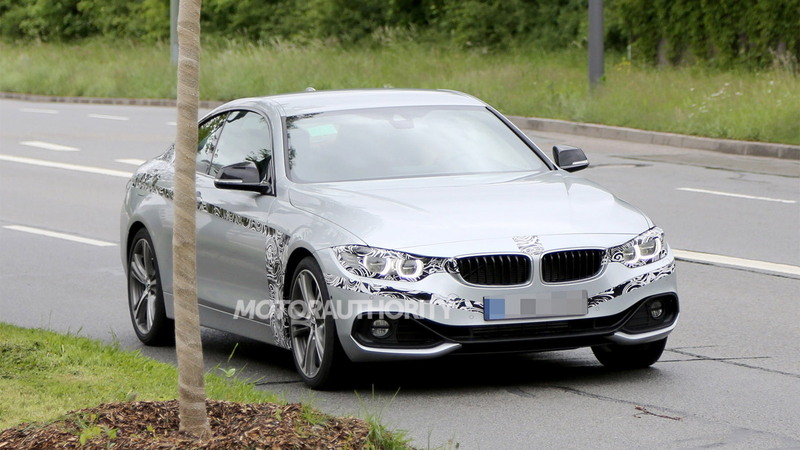 The coupe version of the sixth-generation F30 BMW 3-Series, essentially the replacement for the aging 3-Series Coupe, has been spotted once again, this time almost completely undisguised. That's because BMW is in the final stages of development of the car and plans to unveil it very soon. We’ve already spied undisguised versions of the car, which were spotted during an official photo shoot, but these latest shots show it up close, revealing many of the finer details. To help further differentiate its two-door models from its four-door lineup, as well as allow for the introduction of a range of new models and bodystyles, BMW is adopting a naming strategy where its more practical models such as sedans, wagons and Gran Turismos all have name starting with odd numbers, while the more dynamic models such as coupes, convertibles and Gran Coupes get even-numbered names. 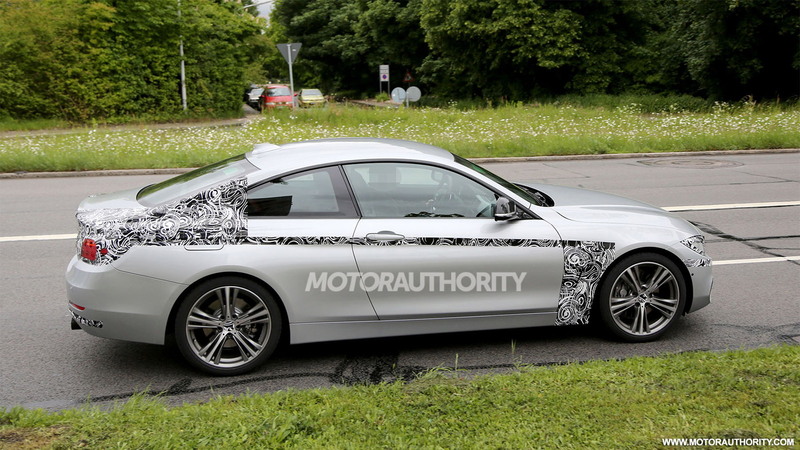 Thus, the replacement for the 3-Series Coupe will be badged a 4-Series. 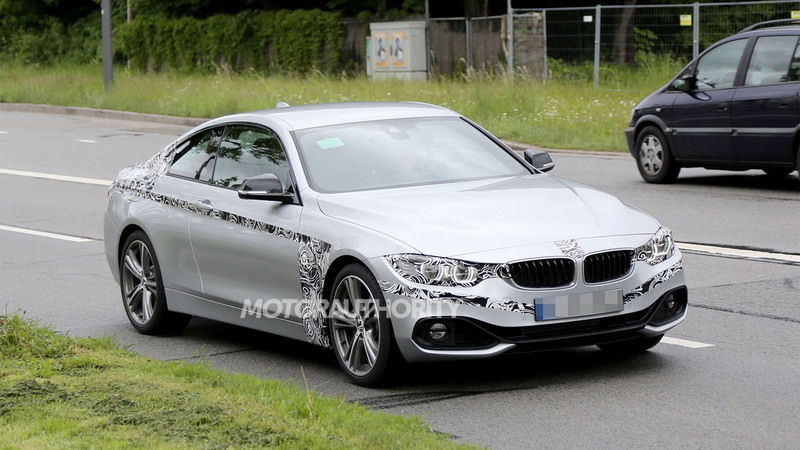 The new 4-Series Coupe is expected to enter production this summer and will likely hit showrooms before the year is out. This means we'll most likely see an official world debut at the 2013 Frankfurt Auto Show in September. 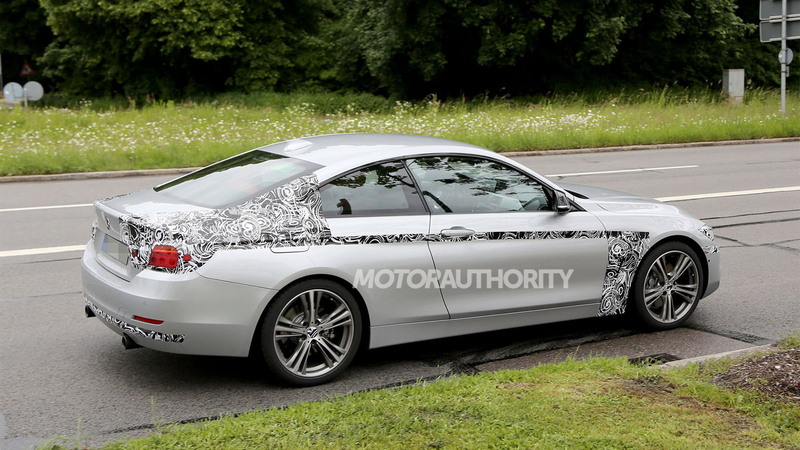 A 4-Series Convertible will follow early next year. For the U.S. market, 4-Series models will be offered with rear-wheel drive or all-wheel drive, in 428i, 428xi, 435i and 435xi designations. All 428i models will get a turbocharged 2.0-liter four-cylinder engine, rated at 240 horsepower and 255 pound-feet of torque, while 435i cars will get a turbocharged 3.0-liter in-line six rated at 300 horsepower and 300 pound-feet of torque. Transmissions will include six-speed manual or eight-speed automatic options. Inside, the layout will be the same as that in the recent 4-Series Coupe concept, which in turn is similar to the design found in the 3-Series. Premium options will include exclusive material choices and BMW Individual personalization options. Expect plenty of leather, wood and Alcantara surfaces. One of the interior shots in the gallery above also reveals the shape of the car's new Hofmeister kink, which on the outside of the prototypes remains masked. High-performance M4 Coupe and M4 Convertible models are also planned, though their respective launches won’t happen until late next year. 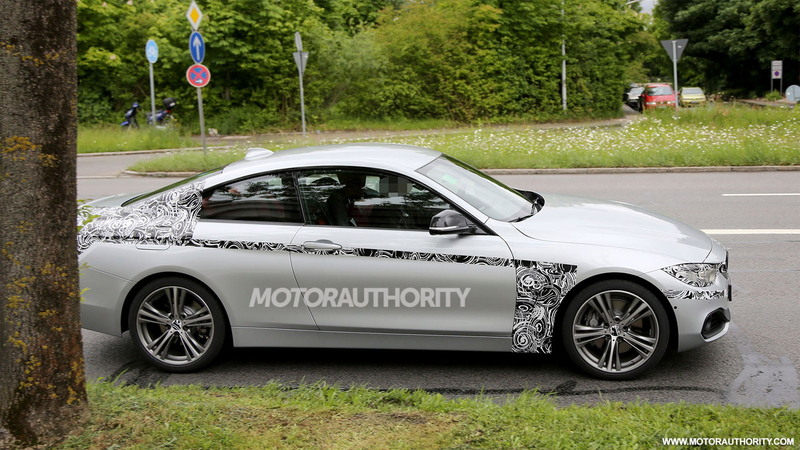 By that time, a new 4-Series Gran Coupe should also be arriving.